Stove Maintenance and Servicing should be an ongoing process for stove owners. Visual inspections are good practice, but should not replace regular servicing. Flue inspection and sweeping is also a vital part of stove maintenance and must not be overlooked. 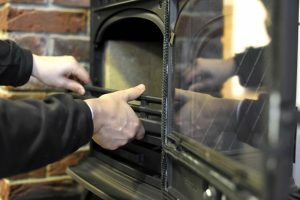 On this page, we offer our customers tips for Stove Maintenance and servicing. If you are not sure, always seek professional advice / assistance. Seals: To maintain efficiency, it is important to check all the seals on your stove. These seals include the door rope, glass gasket seal and any joints which may have been sealed. Seals should be airtight to avoid drawing in unwanted air into the firebox, thus reducing the efficiency of your appliance. Rope seals and gaskets tend to be fairly inexpensive, but can have a huge impact on the overall efficiency of your appliance. 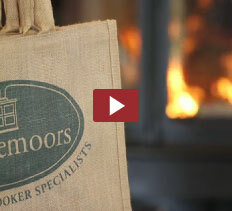 Rangemoors Top Tip: When the stove has fully cooled, place a piece of paper between the door and the stove. Close the door. If you can remove the paper easily or without tearing, then you may need to replace your seals. A good seal will grip the paper and probably cause it to tear when pulled. How to replace Rope Seals. Glass: Check glass for damage and poor seals. Glass will break with impact, over tightening of fixings and poor fitting. 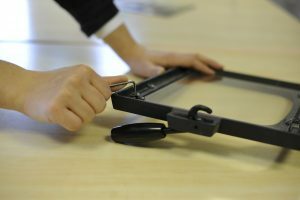 As a general rule glass clips, screws, and any other fixings should only be done finger tight. Never fit Stove Glass with fire cement or similar compound. Glass expands when heated, if fixed in place with tight screws or cement the glass will crack. Rangemoors Top Tip: Only tighten glass retaining screws up finger tight. See here for more Stove Glass advice and Tips. Firebricks: Firebricks come in various shapes, sizes and materials. With Clay and vermiculite firebricks it is not uncommon for them to crack over time. Most manufacturers will agree that a cracked firebrick is OK to continue using, provided it stays in place and does not expose the outer carcass of the stove. When the brick begins to crumble and/or expose the outer body then it is time to consider obtaining a replacement. This is part of Stove Maintenance. Rangemoors Top Tip: Where firebricks are not handed, they can be reversed. This spreads the wear over both sides and not one. Baffle Plates: Also referred to as the throat plate. This plate sits in the top of the stove usually above the firebricks. Over time these may buckle or burn out. This can cause them to fall down into the firebox. At this point you may wish to consider replacing it. Rangemoors Top Tip: To increase the longevity of your throat plate try not to bank the fire up too high. It is also good practice to regularly clean the top of the baffle plate, as debris tends to fall back down the chimney and build up on the back of the plate. Grate Bars: For obvious reasons grates and grate bars bear the brunt of the heat inside a stove. Over time they will wear out. Signs to look for are bars arching up / sagging down, or not riddling correctly as they have warped. Causes for this can include overfiring or not emptying the ashtray regularly enough. Rangemoors Top Tip: If you have a row of grate bars, you may notice that the centre bars wear out first. If the bars are interchangeable, try swapping the outside bars with the centre bars and spreading the wear out. Paint: In preparation for the new season, you may like to brighten your stove up with a coat of paint. There are different options available, but It is important to prepare the surface well before application. Upon application and first firing you may find that there is a strong odour, so make sure of good ventilation. Rangemoors Top Tip: When spraying, try building up in very thin even layers rather than trying to do one thick coat. Rangemoors Top Tip: Perform a weekly test on your CO alarm. How long should stove parts last? This is very difficult to answer, because it depends on so many variable factors. It’s like asking ‘How long should tyres last on a car’? The four most crucial factors are the quality of the stove / parts, installation, suitability of the fuel and most important of all, how the stove is operated. If this stove is used every day and fired really hard, then it is fair to assume that parts will not last as long as another which is used far less. Likewise if the stove is operated incorrectly, over fired, or has incorrect fuel burnt on it then parts cannot be expected to last. Are parts covered by a warranty? For the above reasons manufacturers will very rarely cover these ‘consumable items’ under a warranty. Parts will inevitably wear out over time, simply because of the extremities they work under. This is all part of Stove Maintenance. Having said that, under careful management, parts should last a reasonable term. See our top tips (above) for ways of getting the most out of your spare parts. At what point does it become cost effective to replace the stove rather than keep buying spares? A lot will depend on your budget, the age of your current stove, and the cost of the parts you need to get it back up and running. Nowadays stoves are far superior in efficiency and technology than earlier predecessors. In effect, comparatively they use less fuel, so if you pay for your fuel then they are cheaper to run. 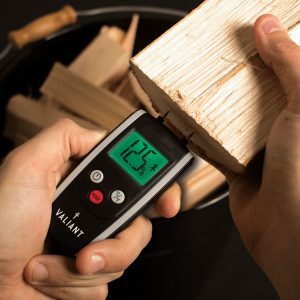 There will undoubtedly come a time when parts are no longer available for a particular model or the cost of parts become prohibitive for a dated stove. In this instance if your budget allows, it may be worth looking at the wide selection of wood burners we offer.